When it comes to parenting, the fictional Princess of Genovia found advice from a real royal pair. As a proud mom to Jonathan Rosebanks Shulman2-year-old , her son with husband of six years Adam Shulman, Anne Hathaway is figuring out one of the biggest roles of her life as she goes. In an interview with The Sunday Times, the Oscar winner divulged some unexpected insight into her highly private home life, notably how she appears in front of and speaks to her little one. “I’m not perfect, but if I’m frustrated or distracted, I’m good at making sure he’s safe and walking away, calming down and then coming back to him,” she told the newspaper. The star admitted that “telling that harsh voice to be quiet,” is a challenge in motherhood. “I fall short every day, but I’m not going to beat myself up about it, I’m going to learn from it,” she added. And she wants her son to understand his own emotions. She recalled an example of them going to a play area in Los Angeles, where there was an off-limits area that the star told him he couldn’t go in. 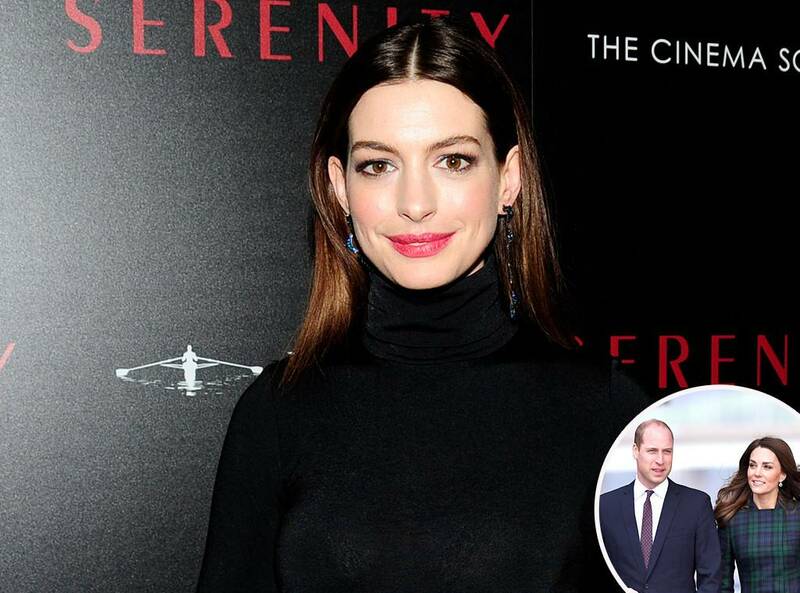 While he’s just 2, Hathaway is already finding ways to communicate effectively with her only child—with help from the Duke and Duchess of Cambridge, Prince William and Kate Middleton, who have long been mental health advocates and champion the importance of talking to each other. According to the newspaper, the actress once read something about the famous couple’s parenting that stuck with her. With Prince George, Princess Charlotte and Prince Louis, we bet Kate and Will know a thing or two about raising little ones.